Sydney Harbour, off Circular Quay. 27 February 2013. 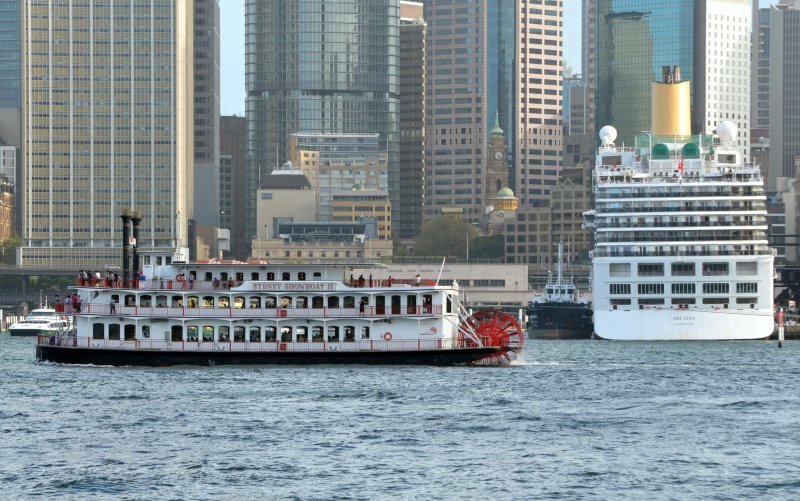 Marketing documents state :- The Sydney Showboat authentic paddlewheelers are reminiscent of those that piled the waters of Sydney Harbour during the 1800s. The Show Boats retain the romance and elegance of our early colonial days. Following the multi-million dollar makeover in 2004, the Sydney Showboats present a contemporary décor with maximum comfort. The Sydney Show boats are fully air conditioned, highly stable cruise vessels.